WedMeGood.com, a wedding planning portal that connects prospective couples with over 3,000 vendors, has secured Rs 2.7 crore ($407,200) in seed funding from Indian Angel Network (IAN), as per a press statement. WedMeGood will use the money raised to scale up technology and augment its sales team, as per a press statement. For IAN, Hemant Kanakia and Alok Mittal led the round. As part of the deal, Kanakia will join the board of Gurgaon-based Anameha Infomedia Pvt Ltd, which runs WedMeGood. "The IAN investment will help us reach a greater pan India presence as we plan to extend our vendor base across major metro cities. We're excited with the experience and mentorship we're receiving from the lead investors," said Anand Sahani, WedMeGood's co-founder. 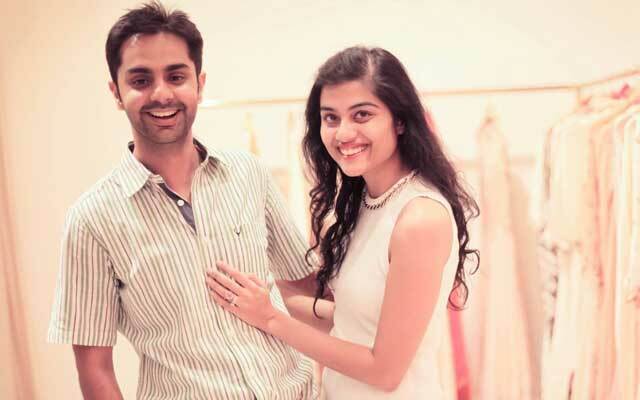 Founded in February 2014 by husband-wife duo Anand and Mehak Shahani, WedMeGood is a portal that helps prospective couples to plan everything related to their wedding. Mehak, a post-graduate from the Delhi School of Economics (DSE), worked as an analyst at American Express before co-founding this venture while Anand, an alumnus of XLRI (Jamshedpur), was a marketing manager with Abbott Nutrition. In 2011, Mehak had also founded Peachesandblush.com, a blog site for beauty product reviews. WedMeGood provides a list of vendors for couples to find professionals such as photographers, makeup artists and others. It also has listings related to decor, jewellery brands, designer wear and catering firms. Currently, WedMeGood is associated with over 3,500 vendors and connects over a million customers through its services, the statement said. "Indian weddings and the associated industries are bound to propagate in the coming years. But, with this potential comes the confusion which WedMeGood is trying to decrease by becoming a one stop shop for a couple for all their needs related to planning a wedding," said IAN's Kanakia. startup; Flatpebble, an online marketplace for pre-packed services from photographers, videographers and stylists; waste management startup Saahas and QSR chain Wow! Momo.